Anja was born and grew up in West Berlin, Germany, when there was still a wall up and the Cold War going on. As a girl she dreamed of being a singer, actress, writer, dancer, and painter, and experienced the thrill of creative success as an adolescent. However, her dreams were crushed by well-meaning family members and teachers who were afraid that she would fail out in the artistic world. Her own negative beliefs that she had accumulated as a kid did the rest: she fell into a deep depression as a late teenager – so strongly that she had lost any purpose and meaning in life. Suicide fantasies would accompany her for many years to come. Only the love for her mother, and the recurring thought that her mother didn´t deserve that her only child would kill herself, kept her from acting on that longing to end the suffering once and for all. That depression led Anja to undertake over 30 years of personal study of the special challenges highly creative and sensitive people face and how they can overcome them in order to live their full potential as human beings, as artists and as agents for positive change in the world. She discovered that the way we have learned, at a young age, to relate to and communicate with our own mind, body and spirit – along the lines of the internal structure of our beliefs, assumptions and judgments – lies at the root of all problems or challenges we later face in our relationship with ourselves, with others and in all areas of our life. On her own healing path, Anja searched for the most effective tools and methods to change those inner beliefs and thought patterns that had suffocated her dreams at such an early age and proved to be in her way in her whole life. Her goal became to find effective new ways in which she could change the underlying communication and relationship-system within herself so that she could ultimately realize her potential and create the desired results in her life from the inside out. That search led her from doing therapy to becoming an intuitive psychic reader and energy healer, both in her early twenties, and over many years to become an extremely versatile and effective life, relationship and business coach. All that she learned and successfully applied for herself and her clients grew into a unique blend of cutting-edge spiritual and practical communication, coaching and energy healing methods. It allowed her to heal herself from the depression, and to create her inner and outer relationships, her career and life increasingly harmoniously, joyfully and prosperous. For the record, Anja has worked as a part-time psychic reader, healer and coach since 1995 and has been operating her own international full-time coaching and healing practice since 2008. Parallel to her journey of becoming a healer and coach, Anja was engaged in different professional endeavors until 2008 that gave her a wide range of life and professional relationship experiences. Among others, she taught Art History at the Boston Art Institute at Lesley University, was a writer and project manager in an educational company, and worked in documentary film production. She was also the right hand of a museum director and worked in marketing and student relations at Monty Robert`s foundation “Join-Up”, both in California. 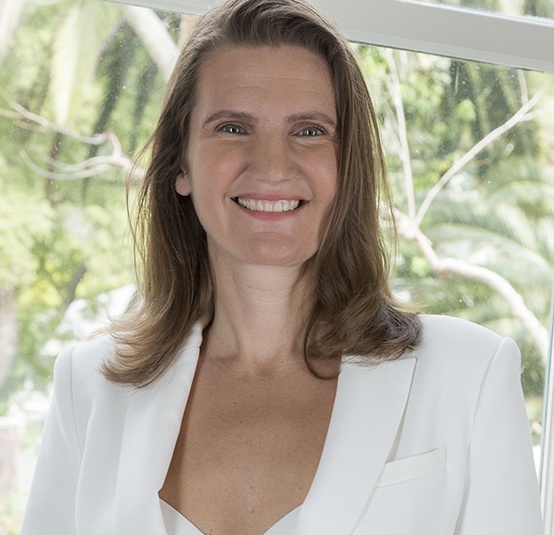 On a personal note, Anja was married to a Swiss-American Lawyer with whom she managed to dissolve their 9-year-long relationship and marriage in a harmonious, friendly divorce. Nowadays she loves to take care of her mini Aussie-Doodle dog, to ride her foster horse out in the woods, and to further develop her own artistic talents like singing, writing and acting. She regularly travels back and forth between Los Angeles, CA and Berlin, Germany. She also continues daily to learn more about how we can transform our inner belief and communication patterns, so that we can increasingly become the powerful, divine-human co-creators that we came to be in this world in this lifetime, for the highest good of all. Anja is passionate about helping performing artists and creators to gain inner freedom of the painful past and unconscious patterns that continue to negatively affect their relationship with themselves, with their family of origin (dead or alive), their beloved ones, with other people and with what they create in the world at large. Today, she works exclusively with exceptional artists in the entertainment industry including top actors, singers, writers and filmmakers — always using her own vast “toolbox” of revolutionary methods and her intriguing intuition. That way, Anja co-creates with her clients empowering healing transformations and tangible desired results from the inside out. Hereby new levels of unconditional love, intimacy, trust, peace, health, joy, prosperity and making a difference can be reached – as Anja has done for herself and as the “secret weapon” for the performing artists she has worked with, for their spouses and even their children. Anja holds a Doctorate of Philosophy in Art History and a Master of Arts in Art History, History and French. She is a published author and has completed several psychological, coaching and energy healing certification program.